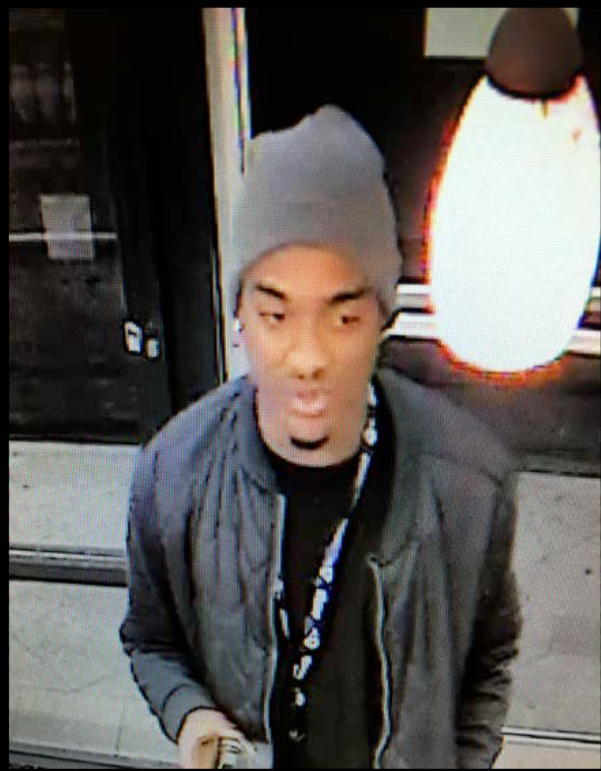 Investigators from the San Marcos Sheriff's Station are asking for the public’s help in identifying and locating a suspect wanted for a commercial armed robbery of a donut shop in San Marc0s. 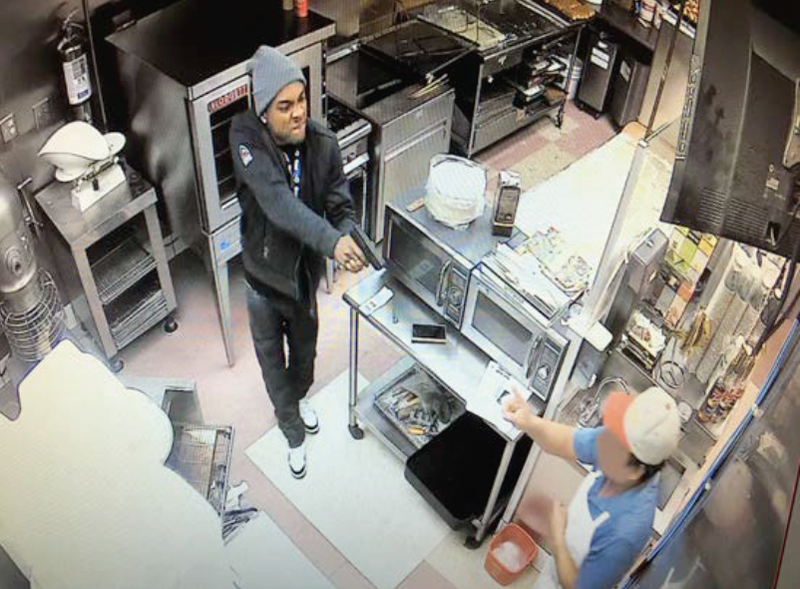 On February 1, 2018 at approximately 1:30 a.m., a suspect walked into the Yum Yum Donuts located at 1240 East Mission Road in San Marcos. The suspect pointed a black semi-automatic handgun at the employee and demanded money from the cash register. The suspect is described as a black man, approximately 25-30 years old, standing 5'8" tall and weighing 180 pounds with a thin build and medium brown complexion. His ears are pierced and he had a key chain around his neck. The suspect was last seen wearing a gray beanie, dark jacket, black shirt, dark blue jeans and white tennis shoes.